just ask for contact info, email and get back to them? ask for all details like shop name, type, address, website, contact person name, and then after I verify the details, activate the account and let them fill in the remaining details? In short what is the best way to get maximum sign ups or how to develop a sign-up which doesn't ask for endless details and reduces abandonment? 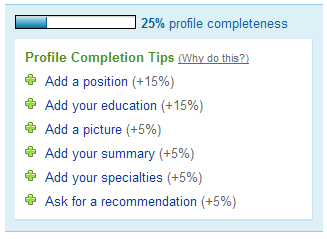 So, when a user's profile is say 90-100% complete, then you can activate his account for transactions. Check out my answer on Single page or multi-page forms? as it may help you decide. Start off by asking for the least amount of information necessary to create an account (usually just email address), and then create the account. Then when they log in for the first time, they are presented with a form with the other necessary information that they need to fill in. Once someone is committed to a decision, they are far less likely to back away from it. Hence, this strategy results in a significantly smaller dropoff rate than asking for all the information upfront. If you sign up for Gravatar you will get an example of this style of process. Not the answer you're looking for? Browse other questions tagged website-design forms registration signup-signon or ask your own question. 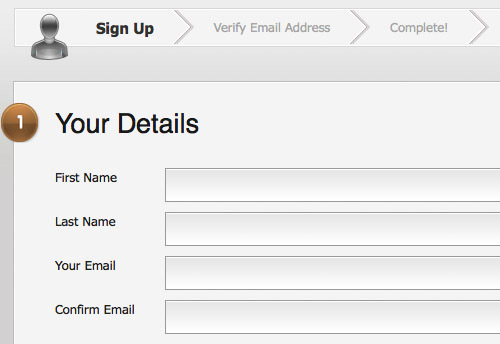 Would requesting email confirmation prior to collecting any other details during the sign up process drive people away? How ask users to register for our database within another registration process? What is the impact of very simple homepage on user?